Monday, Jan. 28, 2019 | 12-1 p.m. 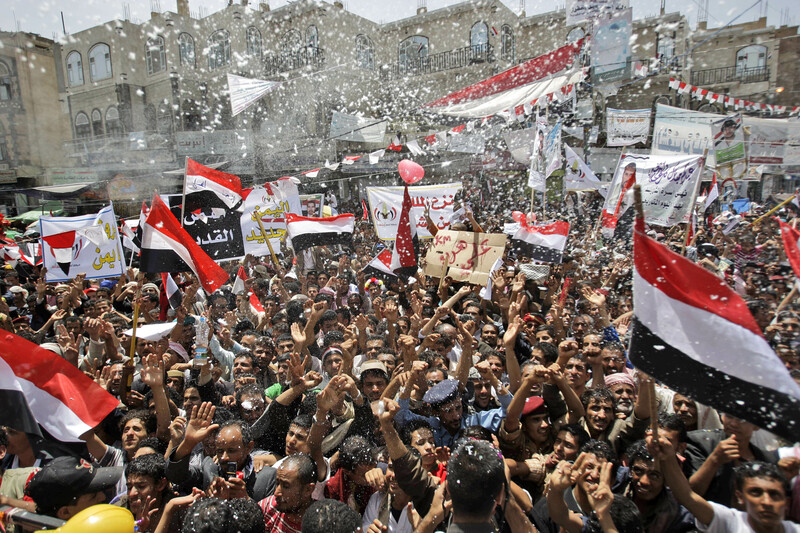 The Arab uprisings of 2010-2011 generated hopes for democratizing the region. Within a few short years, however, those hopes were dashed as the tumultuous period paved the way for a brutal civil war in Syria, a return of old regime figures in Tunisia, and a new authoritarian crackdown in Egypt. 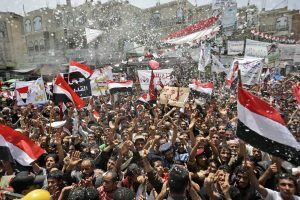 So why did popular uprisings produce different political trajectories in Egypt, Tunisia and Syria? To investigate such diverged paths of social and political struggles in the Arab region, I focus on three main factors: 1) The legacy of state-building processes in the post-colonial period; 2) the shift of socio-economic alliances of the Arab states since the late 1980s; and 3) the patterns of interaction between political opposition in the aftermath of the uprisings. The analysis suggests that variations along these three dimensions are heavily contingent on myriad processes of coalition-building, civil-military relations, and intensity of secular-Islamists divides. Pizza & Politics is free and open to the public. *The Hinckley Institute neither supports nor opposes the views expressed in this forum. This event is co-sponsored by the University of Utah Political Science Department and the Fulbright Program. 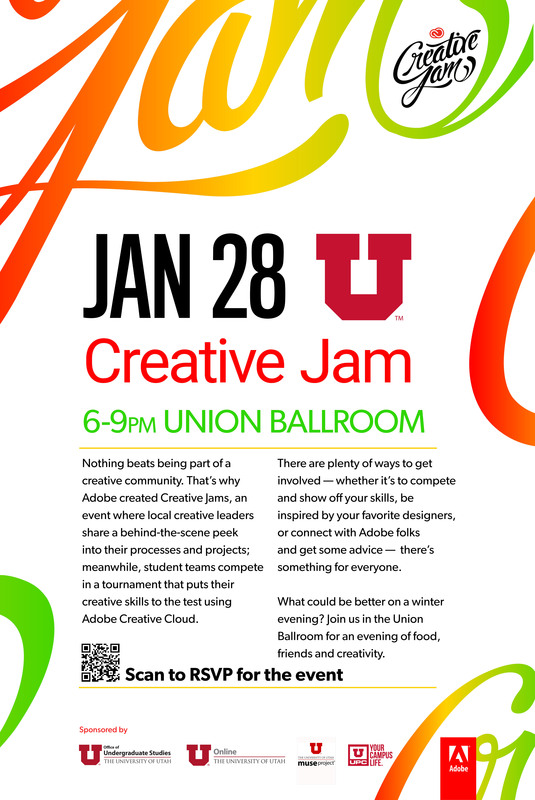 Monday, Jan. 28, 2019 | 6-9 p.m.
Join representative from Adobe Lehi and creative agencies in Salt Lake for the Adobe Creative Jam. This international event series featuring fun, hands-on activities, technology demonstrations, talks by creative thought leaders, giveaways and free food for all attendees. 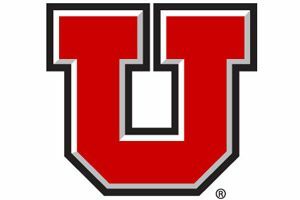 Up to 18 student teams from Utah will compete in a design competition to create an original design based on a theme they were given only a few hours before. Come cheer on your favorite team, see the original design they create using Adobe XD, and vote in the Audience Choice award for best design. Keynote speaker Tim Lee, exhibits manager & senior exhibit designer, Natural History Museum of Utah. Working with the Museum exhibit team, curators, and outside experts, Lee conceptualizes, plans, and develops original exhibits, both permanent and temporary. He uses design thinking, conceptual planning, 3-D design, spatial planning, and storytelling to communicate to visitors. 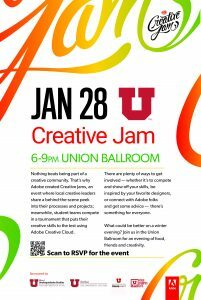 Be sure to visit the networking space where U and Adobe professional staff will consult with students about developing their professional portfolios. 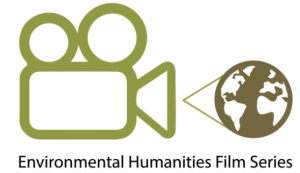 Tuesday, Jan. 29, 2019 | 7-9 p.m.
Join Environmental Humanities at the Union Theater for the cult-horror classic “The Fly,” followed by a discussion with Dr. Jessica Straley, associate professor of English. Tuesday, Jan. 29, 2019 | 12-1 p.m. 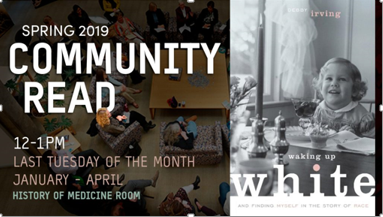 This spring the Office of Health Equity and Inclusion (OHEI) and Spencer S. Eccles Health Sciences Library (EHSL) are co-sponsoring the reading of: “Waking Up White,” by Debby Irving. Starting on Jan. 29, the community is invited to gather in the History of Medicine Room, enjoy a light lunch and have a lively discussion of the book. For 25 years, Debby Irving sensed inexplicable racial tensions in her personal and professional relationships. As a colleague and neighbor, she worried about offending people she dearly wanted to befriend. As an arts administrator, she didn’t understand why her diversity efforts lacked traction. As a teacher, she found her best efforts to reach out to students and families of color left her wondering what she was missing. Then, in 2009, one “aha!” moment launched an adventure of discovery and insight that drastically shifted her worldview and upended her life plan. In “Waking Up White,” Irving tells her often cringe-worthy story with such openness that readers will turn every page rooting for her-and ultimately for all of us. David Derezotes is a professor in the College of Social Work and with MUSE. 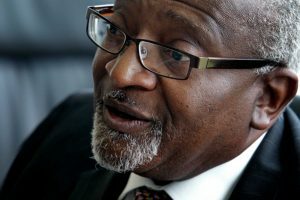 He is a fellow for the Center for Teaching and Learning Excellence as well as the project director for the Transforming Classrooms into Inclusive Communities project. Derezotes is also the director of the Peace and Conflict Studies Program in the College of Humanities. 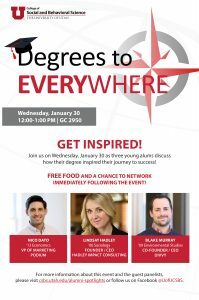 Wednesday, Jan. 30, 2019 | 12-1 p.m.
Get inspired. 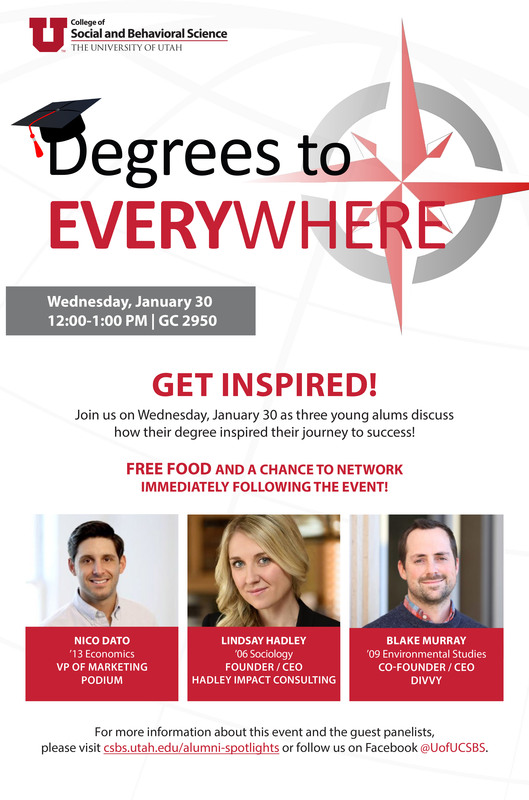 Join us on Wednesday, Jan. 30, as three young alums discuss how their degree inspired their journey to success. 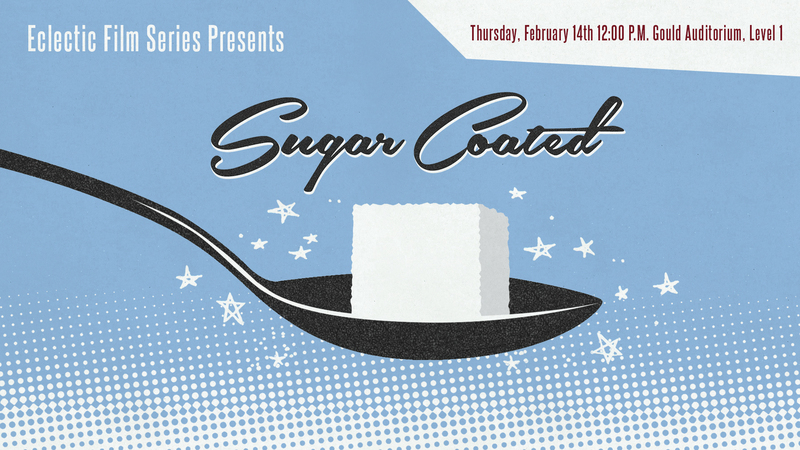 There will be free food and a chance to network immediately following the event. For more information about this event and the guest panelists, please visit csbs.utah.edu/alumni-spotlights or follow us on Facebook @UofUCSBS. Thursday, Jan. 31, 2019 | 12-1:30 p.m. 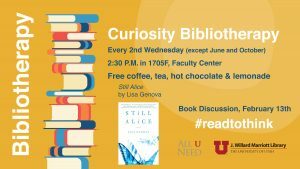 This event is co-sponsored by the University of Utah S.J. Quinney College of Law, University of Utah Sustainability Office and the University of Utah Office of Equity and Diversity. 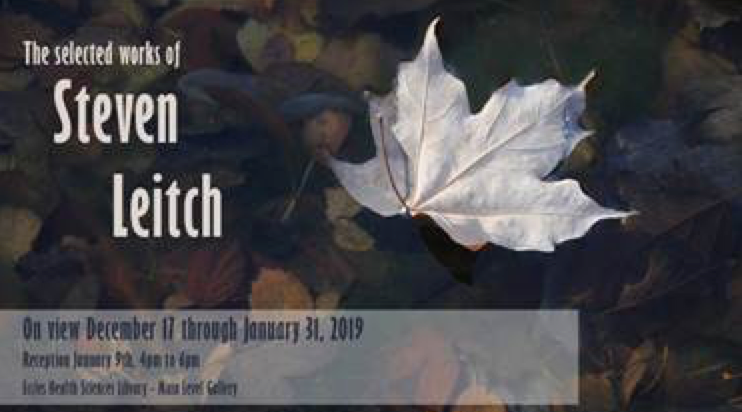 The Eccles Library January 2019 art exhibit features the selected works of Steven Leitch. The works exhibited are selections from recent photographic sojourns throughout the states of Utah, California, Hawaii, and other locals visited. The images were captured using a Nikon D800 single-lens reflex (SLR) digital camera with an assortment of fixed-focal length lenses, and minimal post-processing (from RAW format to final screen/print). “I spent most of my formative years in the photography world. I worked as a photographer for 37 years at the University of Utah School of Medicine, and for 36 years, I served in the US Army Reserve as a photojournalist and writer. I was recently released as a service missionary photographer for the Church of Jesus Christ of Latter-day Saints. I enjoy poetry, and I have been writing script (pen and ink) throughout my life. I am a member of the Utah State Poetry Society, and I serve as president of the Valley Winds Chapter, the Salt Lake City chapter of the Society. The Future of Social Justice: C.O.D.E. Friday, Feb. 1, 2019 | 9 a.m.-2:30 p.m. 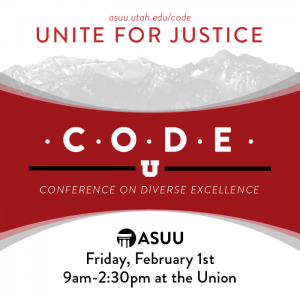 Hosted by ASUU, the much anticipated annual Conference on Diverse Excellence (C.O.D.E) will create dialogue and build consciousness around systems of oppression, privilege, and solidarity through a social justice lens. We use “diverse” as a noun, adjective and verb to recognize diversity work as both a process and a goal to achieve excellence. 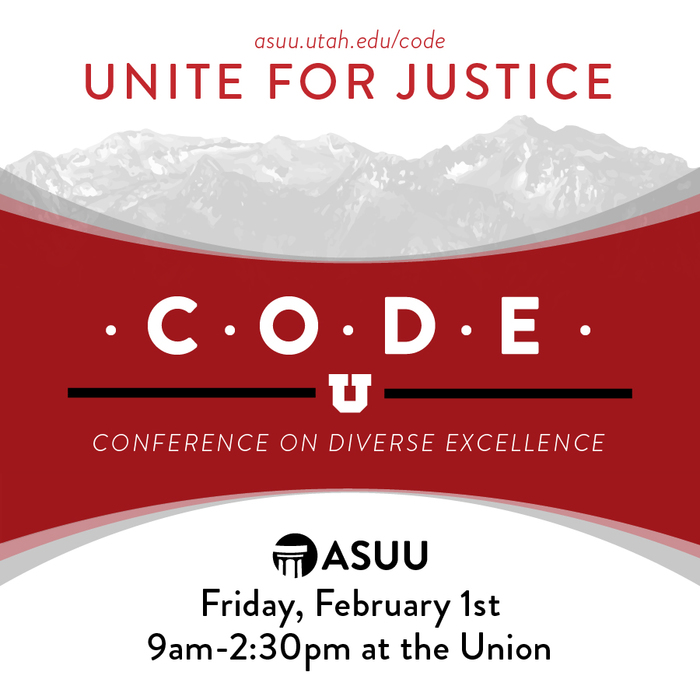 C.O.D.E’s theme for the 2019 conference, “Unite For Justice,” will focus on bringing peoples of diverse backgrounds together in order to educate, uplift and support one another. You can RSVP here in advance or register the day of. C.O.D.E is a free event to the public. Attendees can look forward to free swag, free food, connecting with other student leaders, networking with faculty and staff, and partnering with allies and advocates. Building upon their social justice education and knowledge in order to create change on campus and in their communities. 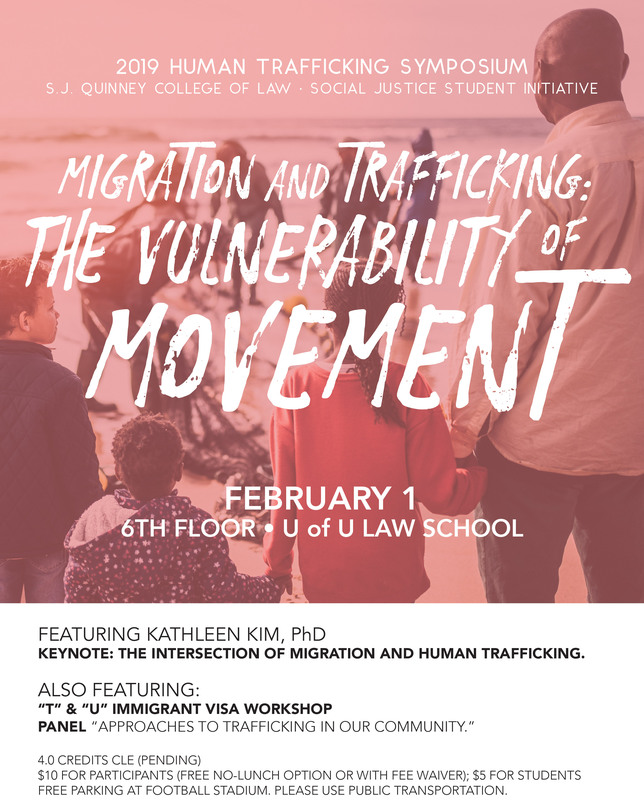 Friday, Feb. 1, 2019 | Registration at 8:15 a.m. | Begins at 9 a.m.
Keynote: The Intersection of Migration and Human Trafficking by Kathleen Kim. 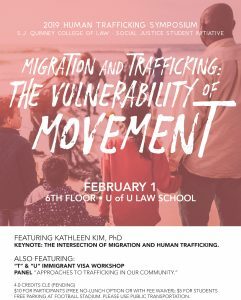 Also featuring: “T” and “U” Immigrant Visa Workshop. Panel “Approaches to Trafficking in our Community” (4 credits CLE). This symposium is a social justice student initiative. The event is $10 for participants (free no lunch option or with a fee waiver), $5 for students. 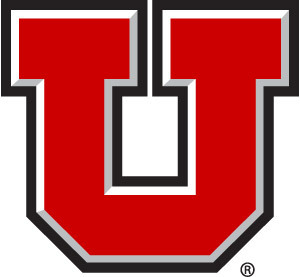 Free parking is available at the Rice-Eccles Stadium lot. Please use public transportation. Monday, Feb. 4, 2018 | 3 p.m. The next Academic Senate meeting will be Monday, Feb. 4, at 3 p.m. in the Moot Courtroom of the College of Law. Senate meetings are open to the public. The agenda will be posted here approximately one week before. Monday, Feb. 4, 2019 | 3-5 p.m.
Thursday, Feb. 7, 2019 | 11 a.m.-1 p.m. 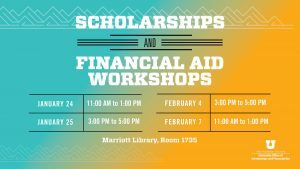 The University Office of Scholarships and Financial Aid (UOSFA) is hosting a series of workshops on campus for students. Students can learn more about how to apply for different aid options, such as scholarships, grants, work-study and loans. 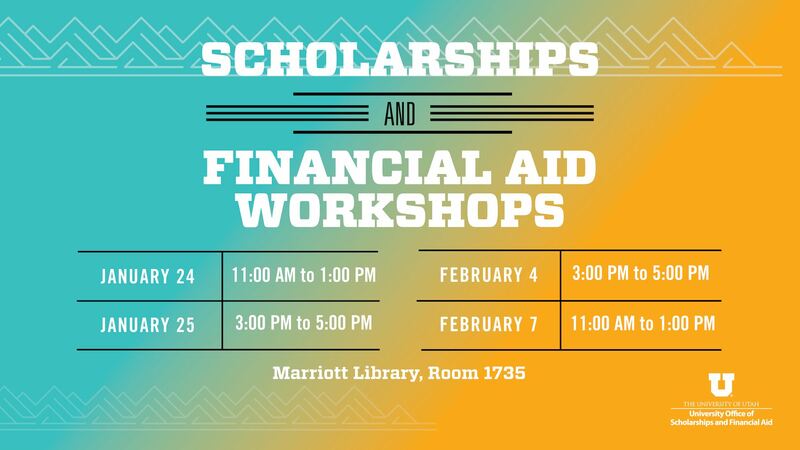 In addition, students can learn more about how to complete the verification process for the Free Application for Federal Student Aid (FAFSA). UOSFA staff will give an informational presentation for the first 30 minutes. The remaining hour and a half will be devoted to one-on-one help and questions. Space is limited in the labs and it is recommended to arrive on time. Monday, Feb. 4, 2019 | 7:30 p.m. In recognition of his 31 years as a faculty member, the School of Music will present an evening of Morris Rosenzweig’s music along with works by his colleagues, Miguel Chuaqui and Steve Roens, on Monday, Feb. 4, 2019, 7:30 p.m.
Morris Rosenzweig began teaching at the University of Utah as an assistant professor in 1987 and retired this past December holding the rank of Distinguished Professor of Music. During his time in the School of Music, he wrote dozens of compositions that have performed by some of the top new music groups throughout the United States, Europe and Asia, has been the recipient of several prestigious awards, produced six internationally distributed CDs, and most importantly, taught courses in composition, theory and performance to students ranging from freshman through doctoral levels, many of whom have themselves gone on to be noted professionals in the field. The program includes his “String Quartet” (1997), selections from two solo piano collections—”Points and Tales,” and “Preludes”—the premiere of “Good Night,” a new (2018) solo violin work, and as an especially fitting feature, the performance of his “Another Order of Cat” (1984), presented by five members of the original 1989 Canyonlands Ensemble. Come visit the Graduate Reading Room and learn about all the services the library can provide to help you. 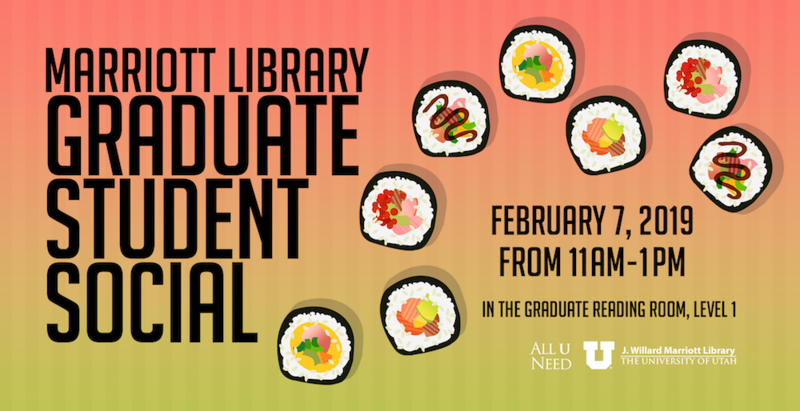 We will also have free sushi, bagels, coffee, tea and more. 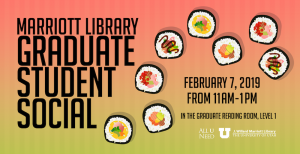 The Graduate Reading Room is located on level one in room 1180A. Wednesday, Feb. 13, 2019 | 2:30-3:30 p.m. 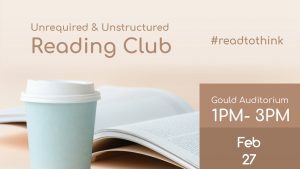 Focused on maintaining one’s curiosity and desire to investigate, this book club follows a traditional format by meeting to discuss the same book. Discussion and readings are short. The club rotates between book genres every month. 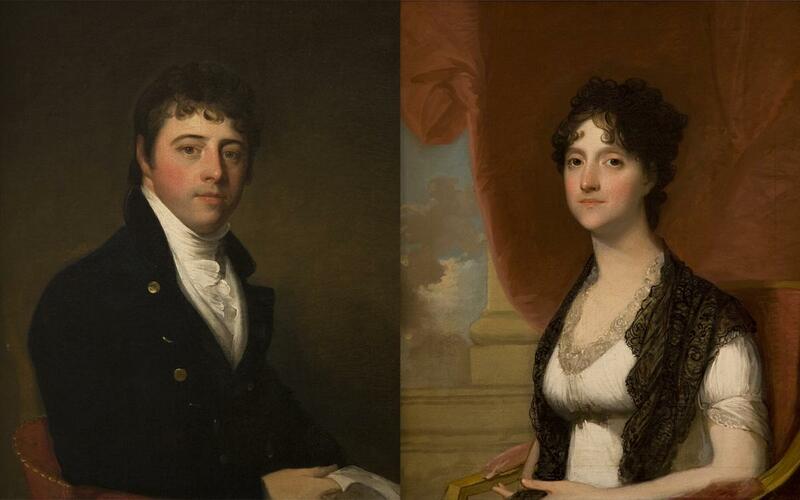 Thursday, Feb. 14, 2019 | 12-2 p.m.
Thursday, Feb. 14, 2019 | 6–8:30 p.m.
Gilbert Stuart (American, 1755-1828), Mr. and Mrs. Simon Walker, ca. 1802, oil on canvas, purchased with funds from the Marriner S. Eccles Foundation, UMFA1982.007.001-22. Join us for a romantic night at the Utah Museum of Fine Arts. Enjoy alcoholic and non-alcoholic libations and hors d’oeuvres, peruse the galleries, and listen to a sultry selection of music in the G.W. Anderson Family Great Hall. For an additional fee, you may join award-winning curator of European, American, and regional art Leslie Anderson for “Conscious Coupling: Scenes of Romance in the UMFA’s Collection,” beginning at 6:30 p.m. Please select the tour option when purchasing tickets to secure your spot; tour is limited to 30 guests (21+). Choose UMFA as your romantic getaway and make art a part of your evening together. Please purchase tickets by Thursday, Feb. 11 here. Friday, Feb. 15, 2019 | 9 a.m.-3 p.m. Looking for a career opportunity in the growing power or energy industry? 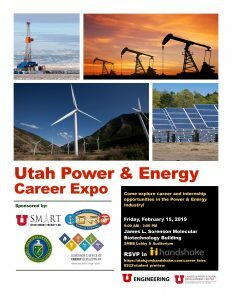 Come participate in the exclusive new event, Utah Power & Energy Career Expo! This is a unique opportunity to meet representatives from the power and energy industry in a new individualized format. Seating is limited and RSVP is required to participate. Any questions about the event can be addressed to angela.rasmussen@utah.edu. Additional information about the event can be found here. Wednesday, Feb. 27, 2019 | 1-3 p.m. This book club is unconventional! Come having read any book or come to read a book of your choosing. Pick from favorites of U of U students, librarians, staff and the Campus Store. Free coffee, hot chocolate and tea are provided. 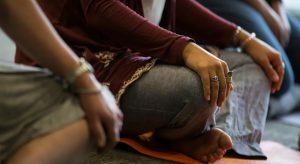 Every Thursday night through March 14, 2019 | 4:30-7 p.m.
Mindfulness-Based Stress Reduction, (MBSR), was developed by Jon Kabat-Zinn at the Center for Mindfulness, University of Massachusetts Medical School. MBSR is an intensive training in developing mindful awareness and accessing our innate capacity for health, healing and growth. Groups meet for an orientation, eight weekly classes and an all-day retreat between weeks six and seven. Guided instruction in various practices is provided, including sitting and walking meditation, body scan, gentle yoga and mindful communication. These practices are enhanced through inquiry exercises, group dialogue and daily home assignments. Jon Kabat-Zinn’s definition of mindfulness is, “paying attention on purpose, in the present moment, non-judgmentally.” Stress is an inherent part of our lives. We do not practice mindfulness in order to escape the stress, but practice so that we can relate to our stress in a healthier way. MBSR is intended to ignite our inner capacity for awareness and to learn ways that we can be awake and in touch with our lives as they unfold. 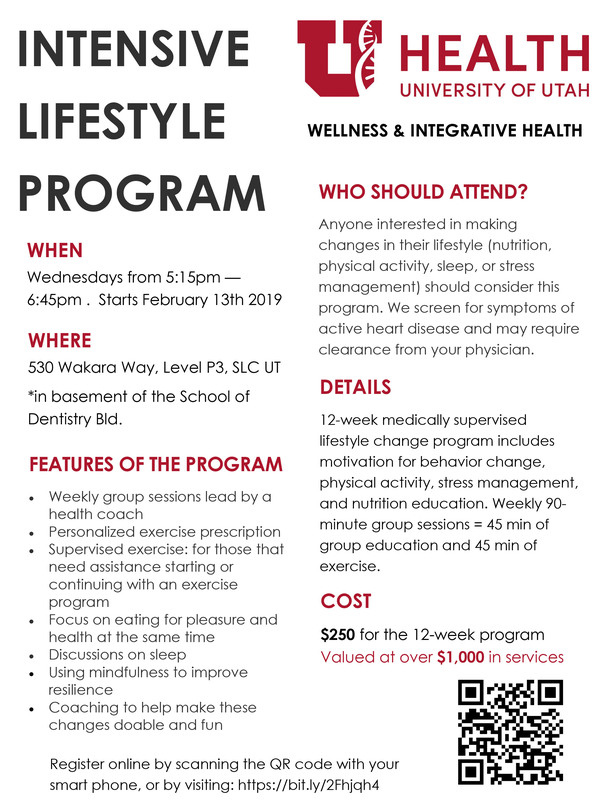 Wednesdays, Feb. 13-May 1, 2019 | 5:15-6:45 p.m.
A 12-week medically supervised lifestyle change program includes motivation for behavior change, physical activity, stress management, and nutrition education. Weekly 90-minute group sessions: 45 minutes of group education and 45 minutes of exercise. Open access to the gym 7-10 a.m., and 4-7 p.m., Monday-Friday—Multiple locations for this class with varying start dates exist. PEAK Health and Fitness offer a wide variety of classes including boot camp, circuit training, core training, indoor cycling, mat Pilates, stretch and strengthen, total body fitness, weight training and yoga.